Buying a Jet Ski Over a Boat – Why Would You do That? What’s better, a boat or a Jet Ski? That really depends on you. Would you rather buy a Jet Ski over a boat? Let me tell you right away… I’m biased. That doesn’t mean you shouldn’t listen to me. At the very least, it’ll give you another angle – perspective, if you will, as to which might be better for you. For me, asking whether I would buy a jet ski over a boat is completely relevant. Why would I even consider a jet ski over a boat? It’s like comparing a convertible roadster to a pickup truck – or apples and oranges. They’re both cars; they’re both fruits. Now, before we go any further… I know, the term Jet Ski belongs to Kawasaki… They are called personal watercrafts, or PWC… There are also models by Yamaha and Sea Doo called Wave Runner and Bombardier… Polaris and who-knows-who else makes one too, yada, yada… I know. Save it. Back in 1993, the legal age in Puerto Rico to drive a motorboat, jetski, or any other gas-powered floating vehicle was 14. Yes, 14 years old! At the time, I was about to turn 14. My father, given the boat-head he was, offered to buy my brother and I a boat or a jet ski for my birthday. Keep in mind, he was offering this to a pair of kids that had been sailing and driving boats since they were 9. …On them, since age 0. He trusted us not to be stupid. Well, for me, it was a no-brainer… Boat all the way! Yes, I liked jet skis, but there’s no way I was going to get one of those over a boat! Why… well. Here’s what when through my mind at the time. Of course I was being reasonable. I was a teenager! Girls were all I could think about. 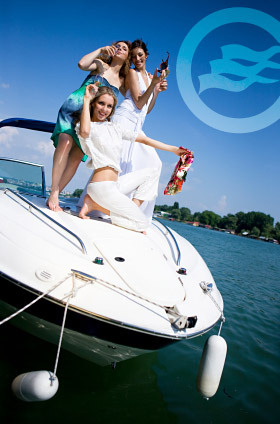 Yes, you can argue that girls will be more close to you on a jet ski, and all girls want a ride on a jet ski. But those are all moot points in my book. The boat trumps the ski every time anyway. There it is… No question the boat is better. BUT… it is better for YOU? Of course I could argue all day that the boat is better and just leave it at that. But rather, I’ll show you the other side of the coin. They’re fun. Yes I said it. They are fun. If you are OK taking turns with your friends and family, then a ski might work for you. If you don’t care about not easily being able to travel far, get a jet ski. Don’t tell anyone, but I have island-hopped in a jet ski (Should’ve used a boat though). As I said in the beginning… I’m biased. I’ll take a boat over a jet ski any day. Do your research. Find out what your priorities are. Better yet, draw a list with 2 columns, one for the boat and one for the ski. Write under those columns the pros and cons of each. Then count how many pros to each and how many cons. Do the math and see who wins. That might be your next ride, right there. If you’re considering a boat or a jet ski while keeping the budget low… Find out why small boats are better than big boats here. Join the FloatWays Newsletter free. We use the most respectable email list system in the world. Your email address is safe with us. 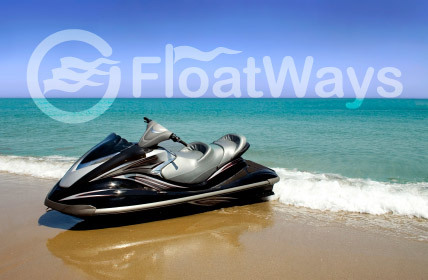 Copyright © 2019 · FloatWays.com · A million ways to float!